For more than a year, Dr. Bob conducted a patient trial of his PediMD Anti-Fungal Treatment System and Foot cream to positive results. Follow-up appointments were made 3 and 6 months after start of treatment to monitor results and obtain patient feedback. Over 72% of patients reported at least 25%-100% improvement in their nail fungus within 3-6 months use. 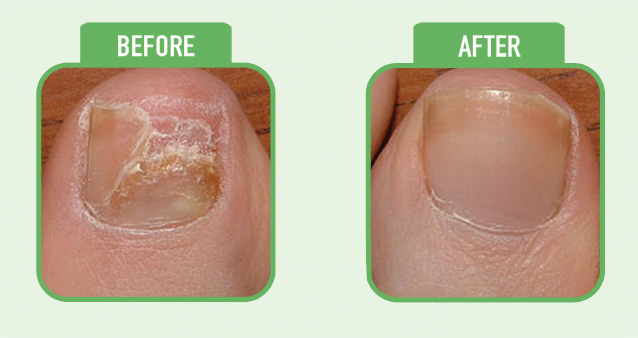 Thirty percent (30%) reported enthusiastic results of 80%-100% improvement in their nail fungus within 3-6 months use. PediMD Anti-Fungal Foot Cream generated overwhelming positive response with 80% of patients reporting that it reduced dry, cracked skin or redness and cleared foot fungus within a couple of days or weeks.